While it is an expensive cooler, there is no denying it works well. Pared with a moderate airflow case, it keeps my Ryzen 2700 at 4 GHz well under 70C under full load even after extended use. In normal use, it keeps the chip around 30C. 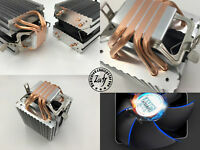 While the installation of the cooler itself was easy, the fans were rather difficult. the front and rear fans are pretty easy, but getting the top clip on the middle fan is near impossible in the case. If you install the cooler, you must attach all the fans and cooler to the motherboard before you get it in the case. If you don't, there is no room to get the second fan clip on. Beyond that though, it stays whisper silent even under full load. Maxing out the fans in bios makes them slightly audible, but nothing you would even notice in a case. Last consideration is this cooler weights a bit, so I definitely would not recommend moving your PC around a lot with the cooler installed. 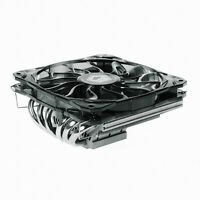 While it may not negatively affect it, I feel that the cooler could definitely ruin a motherboard if the PC was jolted.